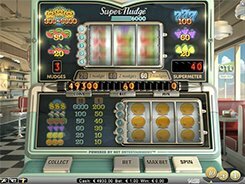 If you like classic 3-reel slots, then give Super Nudge 6000 a try. The slot features two sets of three reels. You start playing on the bottom reels and every time you have a win you move to the upper set of reels. Bet options are a bit unusual as compared with other 3-reel slots. You have just two bet options: to place one coin on the central line or place ten coins on all five lines, with no options in between. By changing a coin value, you can make a bet starting at $0.1 and reaching $10 per spin. The symbols set incorporates classic fruit symbols such as oranges, lemons, grapes, watermelons, cherries, etc. 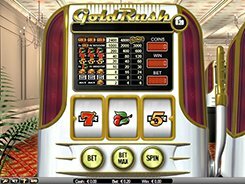 The largest cash prize of x6000 times a line bet is awarded for hitting three Dollar Sign symbols on the bottom reels. When spinning the upper set of reels, you can benefit from the Nudge feature that comes in handy at times. Hitting three Crown symbols on the upper reels awards a mystery prize that varies from x300 to x6000. 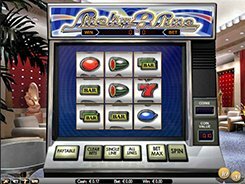 To sum up, Super Nudge 6000 will be an appealing game with a dose of nostalgia for retro slot aficionados. PLAY FOR REAL MONEY!